If you are looking for a highly rated microwave oven, you can check Panasonic NN-SU696S microwave oven. It is built with Panasonic’s inverter technology and comes with genius sensor. The interior capacity of this Panasonic microwave oven is 1.3 cu. ft. and the cooping power is 1100 watts. Panasonic NN-SU696S is an affordable microwave oven that has stainless steel exterior. This is a countertop microwave oven by Panasonic that produces a seamless stream of power and delivers consistent evenly prepared food without overcooking. Further, Panasonic NN-SU696S features advanced Turbo defrost that speeds up defrosting time. 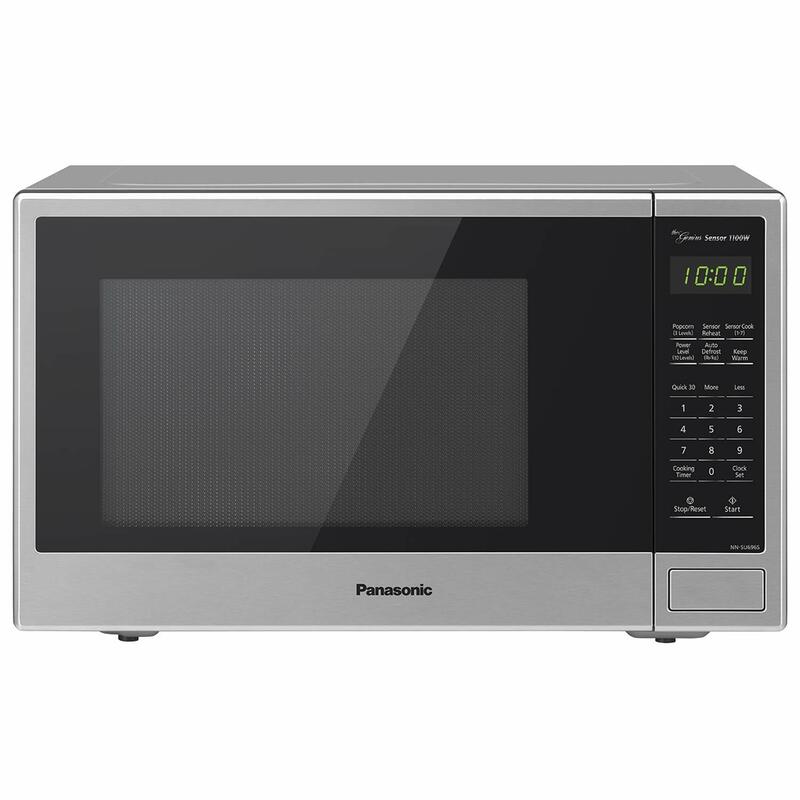 If you are looking for a compact microwave oven by Panasonic, you can check Panasonic NN-SU696S countertop 1100 watts microwave oven. It has 13.4 inches turntable that is thinner and lighter than most microwave ovens in the same category. Further, Panasonic NN-SU696S has smart cooking settings with Genius sensor. Yes, it has built-in automatic genius sensor that adjusts power and times based on different foods. Other important features are 7 preset menu items, quick minute timer, delay start and child safety lock. The Panasonic compact countertop microwave oven also comes with Keep Warm feature that keeps soups, gravies or desserts warm and fresh until ready to serve.